We provide the technology as well as the advice and support to ensure you have the IT system that best suits your needs. We listen to your needs and take the time to understand your business. Then, using our expertise and experience, work with you to recommend technologies and how they can be used to provide you with a fantastic solution. Our role is to make information technology systems work even better for your business and our goal is to be a trusted and valued member of your team. Most businesses are fairly unique in the way they go about things. We take the time to understand your needs, aspirations, your people and even your style & culture before suggesting how best to leverage the power of what’s on offer. Things are moving at a pace these days, new possibilities and improvements every hour it seems. So unless you are in the business, it’s impossible to ensure you are exploiting all the benefits that are available out there. From design to quoting, through procurement and implementation, Caduceus can carry your project through from start to finish. 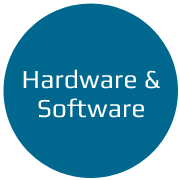 We provide business class hardware and software that is designed to perform when and where you do. We can assist with the purchase and installation of any and all hardware and networks. 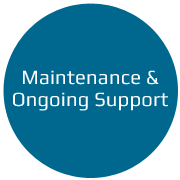 We'll tailor our reactive, friendly support to meet your needs including pro-active monitoring of key equipment and scheduled maintenance. Lower the total cost of ownership by reducing the need to buy and maintain servers. 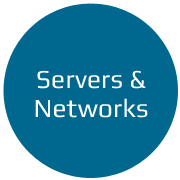 As everyone with a server knows, if it goes down the business is seriously affected and often can’t operate! 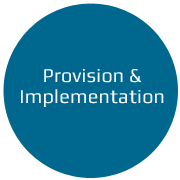 Why choose Cloudbase for your cloud solutions? Our facility is not only located in an earthquake strengthened building, it has extensive environmental and mechanical monitoring. It has UPS and generator backed power with a temperature and humidity controlled environment. Tell us exactly what you want, or if you are not sure, we can help work it out.We take the time to get to know you so that you get to know us. Then we can ensure we are both working together to provide the best tailored solutions for your specific needs. Our central facility is available during normal business hours (and other times upon request) for your technicians to access your gear. Remote hands support is provided at no cost with our engineers available on site. Knowing exactly who and where your data is hosted is just good sense. Often storing your data off shore is not permitted. 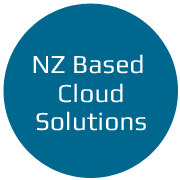 Cloudbase ensures that your data remains yours, is stored in NZ and you can always talk to us when you need to. Colocation is the availability of space in our secure and environmentally friendly facility, including backup power and internet access. A 99.9% uptime hosted service removes the need for a business to run it’s own server in house. Access applications and data from anywhere there is internet access. No capital outlay or maintenance costs. Hosted mail boxes for staff using MS Outlook. Use the collaboration and synchronisation features inherent in MS Exchange – email, calendar, tasks and notes through Outlook anywhere with multiple web enabled desktops and mobile devices. Automated online backups for your critical data that is currently located on your server. Secure offsite storage as well as copies at our data centre, just a phone call away. Web hosting provides secure and reliable access to your business website and is usually combined with Hosted Mail. 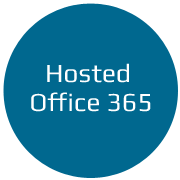 Migrating to hosted services such as Hosted Exchange (email) or Office 365 makes sense for small businesses. The costs and headaches associated with hardware purchases, server installation and setup, and user management are diminished with the hosted service model. Also, by letting you add users as your company grows, you pay only for what you need when you need it. It fosters collaboration between your team members and helps them work together regardless of their location.